Posted On August 17, 2015 by Team iCynosure. 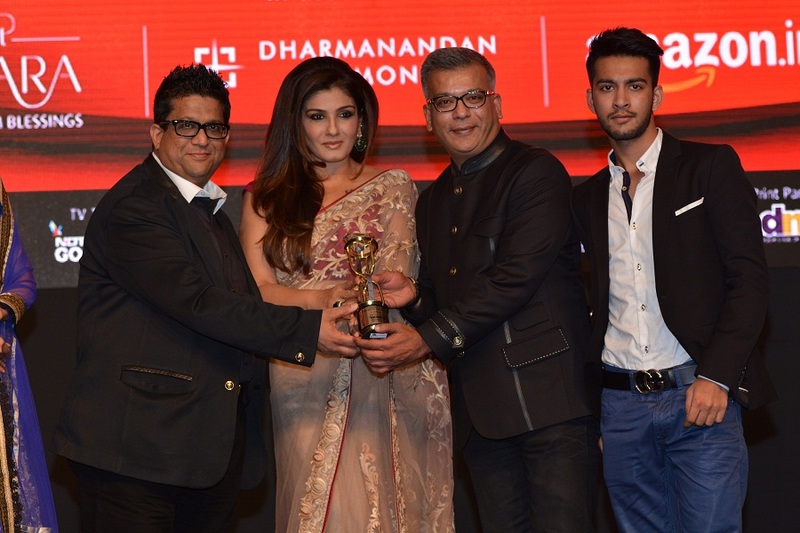 Last week was abuzz with the 11th Gemfields and Nazraana Retail Jeweller India Awards 2015. It was an amazing honour to be part of the event held at The Grand Hyatt, Santacruz to witness the unfolding of the awards one-by-one. With the best of the best brands vying for awards in the various categories, the brand custodians made their presence felt in full force among the glitterati of the Bollywood world. It was great to listen to the history of each brand, the way they were taken forward, the passion with which each segment was designed was fantastic. Here are the most deserving winners. TBZ Ltd. bagged two social media awards including the Marketing Campaign of the Year and 360 Degree Marketing Campaign of the Year. 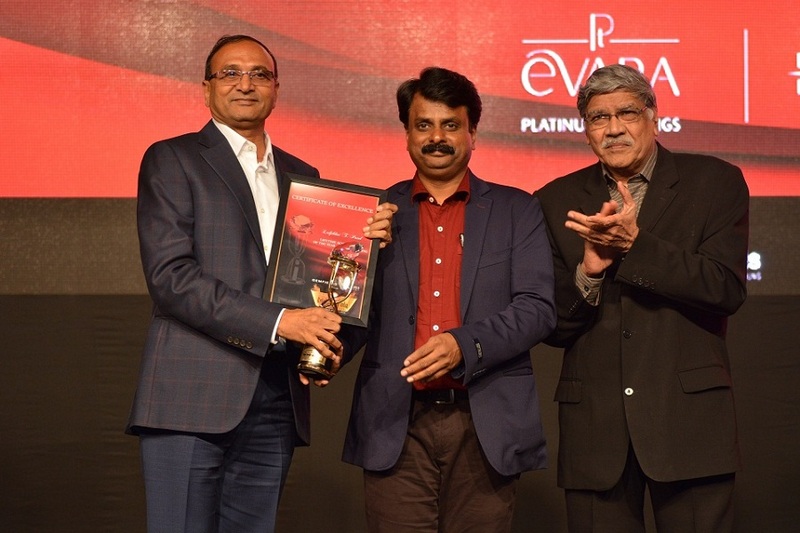 Gold Vivaha Jewellery of the Year Award was bagged by the trio at Rare Heritage. 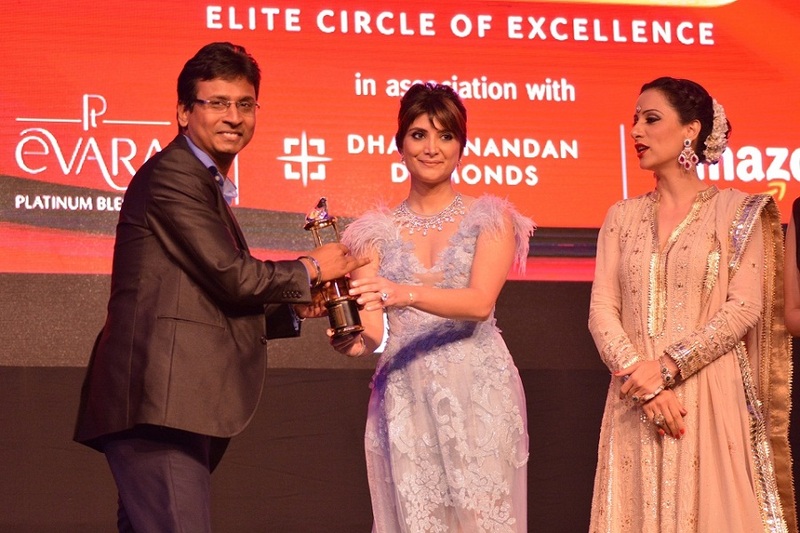 Diamond Vivaha Jewellery of the Year Award was bagged by Dwarkadas Chandumal Jewellers. About Retail Jeweller India Awards: Retail Jeweller India Awards was established in 2005 with the mission to take the US $30 billion Retail Jewellery industry forward by creating a platform for recognizing the best work of the industry in fields of design, retail and marketing. Also known as India’s Oscars for the Retail jewellery industry and the only business awards specifically for retail jewellers in the country of 3 lakh retail jewellers. With a reputable jury, IMRB as the process auditors and NDTV Good Times as Television partner, the awards are the country’s premier and most authoritative national competition. It is an initiative of the Retail Jeweller Magazine which is a specialized bi-monthly business magazine read by top jewellery retailers across 415 cities of India. Completely focused on the subject of jewellery retailing, the magazine enjoys the highest readership amongst progressive jewellery retailers in the country. Delivering focused communication for 48,000 HNI readers it has emerged as a dependable and reliable source for industry happenings and developments.